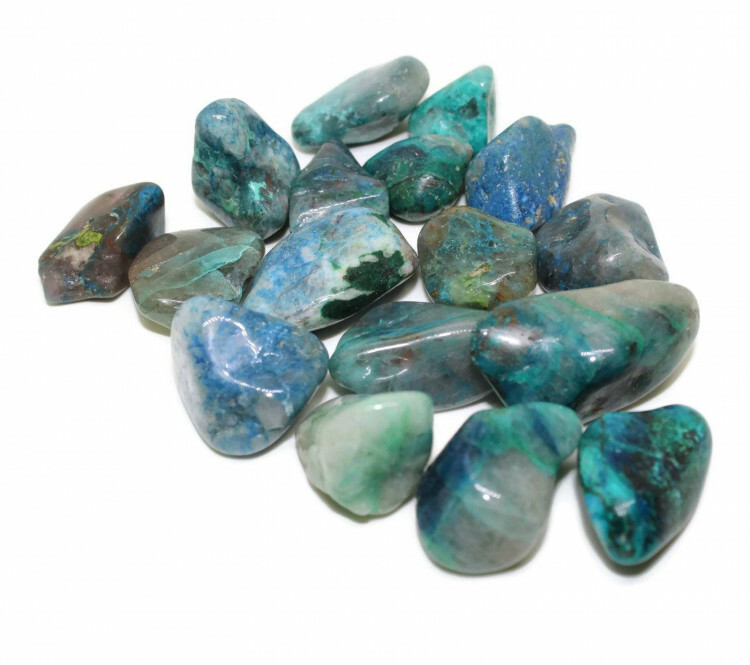 Gorgeous Chrysocolla Tumblestones with lovely blue-green colours throughout. Gorgeous little blue and green Chrysocolla tumblestones, sold in two sizes. There is quite a wide variety of colours in these tumblestones. Their colours leave a lot of options for contrasting and displaying these tumblestones. Maybe a graduated display, or blues and greens, etc – Malachite, Chrysocolla, etc – both Copper ores. Because Copper ores can be potentially toxic, we do not recommend placing these stones in a fish tank or aquarium. No special handling is required; just wash your hands if handling the stones for a long time. 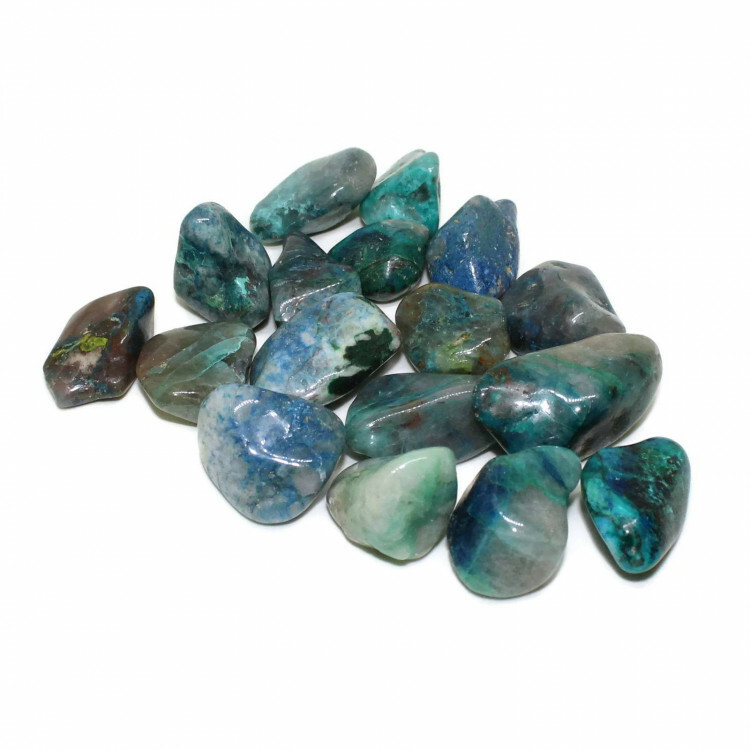 For more information on Chrysocolla and a full list of all our related products, please see our main ‘Chrysocolla’ section.